Within the Houston Metropolitan area lies Humble TX, a city with history and a great future. We are honored to bring our custom stained glass windows and doors to the residents of Humble. Humble became a boom town in the early twentieth century when oil was discovered there. Now it is a city with great historical buildings and great natural attractions like the stunning Mercer Arboretum & Botanic Gardens. 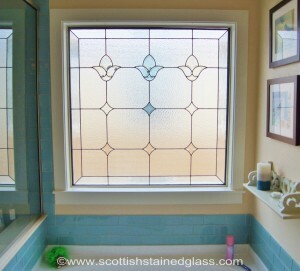 We work with Humble TX residents to create residential, commercial, and religious stained glass. Each window or door panel that we build is custom designed to our client’s tastes, needs, and the existing décor of their home or office. Whether a client is a church or a hotel or a home, whether they are looking for a window or a door or a stained glass ceiling, our custom design process is the same. Step one is always a one on one consultation between one of our experienced stained glass design professionals and the client. This consultation requires an appointment and is always at either the home or office of the client. During the design consultation, our designer will take note of the space the stained glass is to be installed, take exact measurements. Client and designer have ample time to discuss ideas and styles as well as look at photos and samples. Many of our Humble clients choose a design that we have already created, and many others work with us to create something unique that reflects their personal style. Once the design, the colors, the types of glass have been decided upon by the client, our real work begins back in our Houston TX studio. A pattern for the design is made using special CAD software. The materials are ordered, if we do not have them on hand. 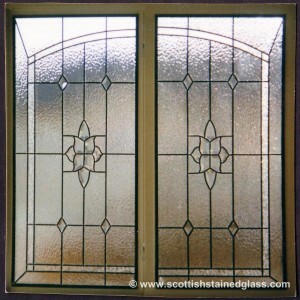 For instance, special types of glass finishes. Next, the project is assigned to one master stained glass builder. No assembly line with our products. This artisan cuts and assembles each piece of glass by hand, following the pattern exactly. Once the window is assembled, soldered, and polished, it is ready to be installed into the client’s home, office, church, etc. We use experienced installers who know which are the best installation processes to use for the size, weight, and location of the stained glass piece. For instance, huge church stained glass windows require steel supports that normal residential stained glass windows do not. Our stained glass is carefully built to stand the test of time and delight everyone who sees it for generations to come. We create custom designs for homes, offices, restaurants, churches, hotels, chapels, temples, salons and shops, and anyone else in Humble and the surrounding cities and suburbs who wants them. All custom designed. All hand crafted. All gorgeous and striking in their own way. All a perfect fit into the client’s windows or doors. Please contact us in Humble Texas to set up an appointment for beautiful, highest possible quality custom stained glass.